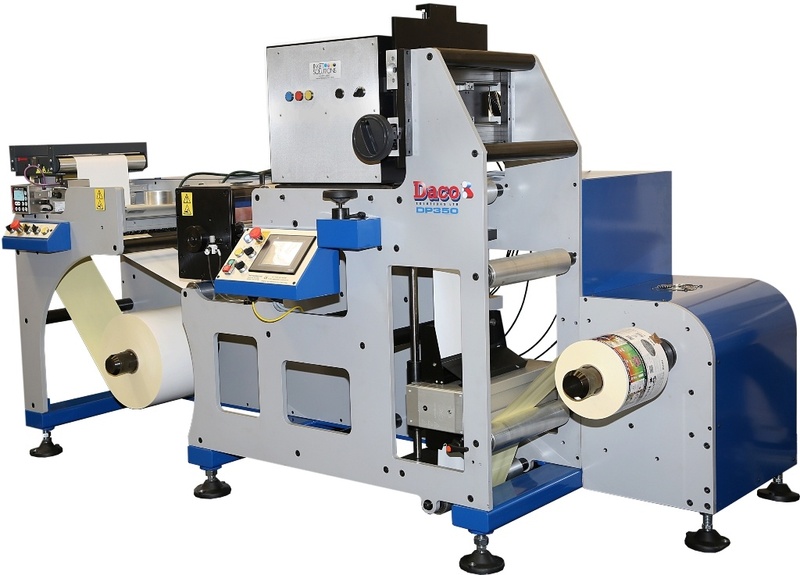 Home / News / Anglia Labels, based in Suffolk, UK install a Daco DF350SR to compliment the recent installation of a 5 colour Domino N610i digital UV inkjet label press. 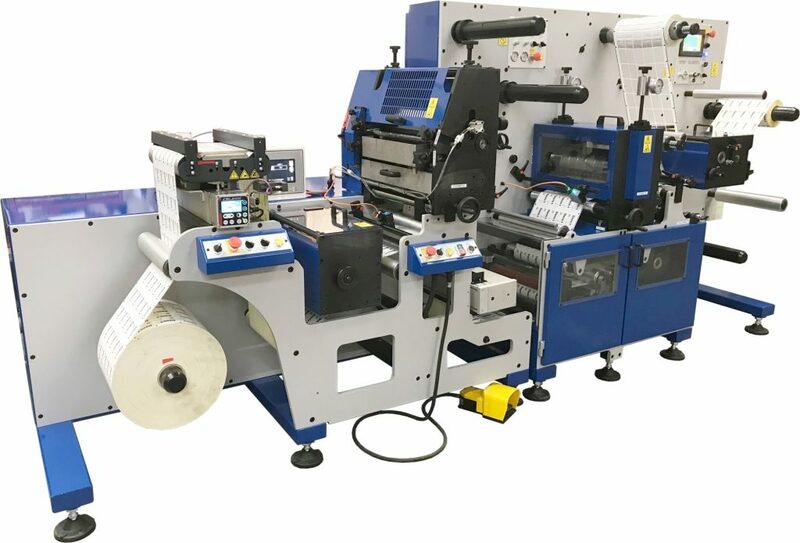 Anglia Labels, based in Suffolk, UK install a Daco DF350SR to compliment the recent installation of a 5 colour Domino N610i digital UV inkjet label press. 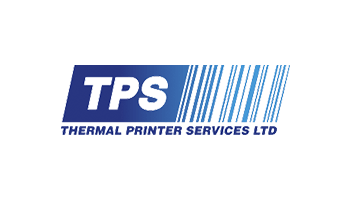 Anglia Labels was formed in 1979 and have a variety of presses including UV flexo, letter press and toner based digital label presses. 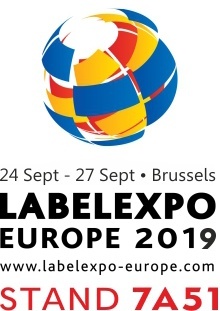 Anglia operate across a wide range of industries that include industrial, agrochemical, chemical, food and drink, retail, automotive, security, household and the medical industry. Ian Woodhead, Managing Director of Anglia Labels visited Daco Solutions to discuss the finishing options that Daco could offer. 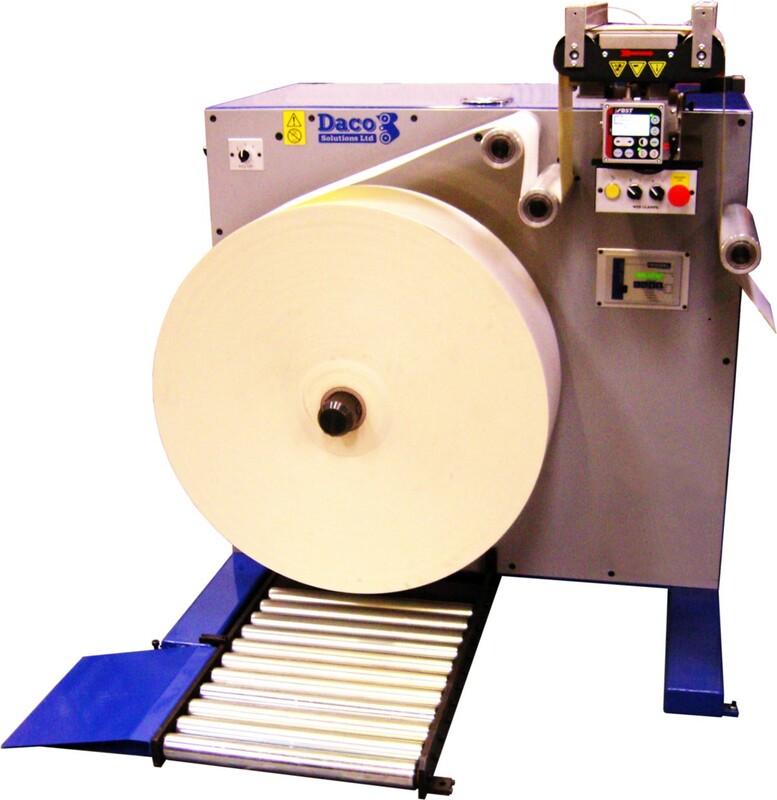 Whilst at the factory, a site visit to Beverley based Applied Label Solutions Ltd was arranged to see a Daco DF350SR in operation. During the factory visit, Mark Laurence, Daco Sales Manager discussed the various options and benefits to production output. 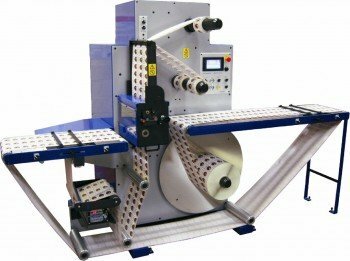 A specification of a machine with a Daco DBS back scorer, RotoMetrics hydrajacks, laminating and spot varnish to register was added to the standard Daco DF350SR semi-rotary die cutter. 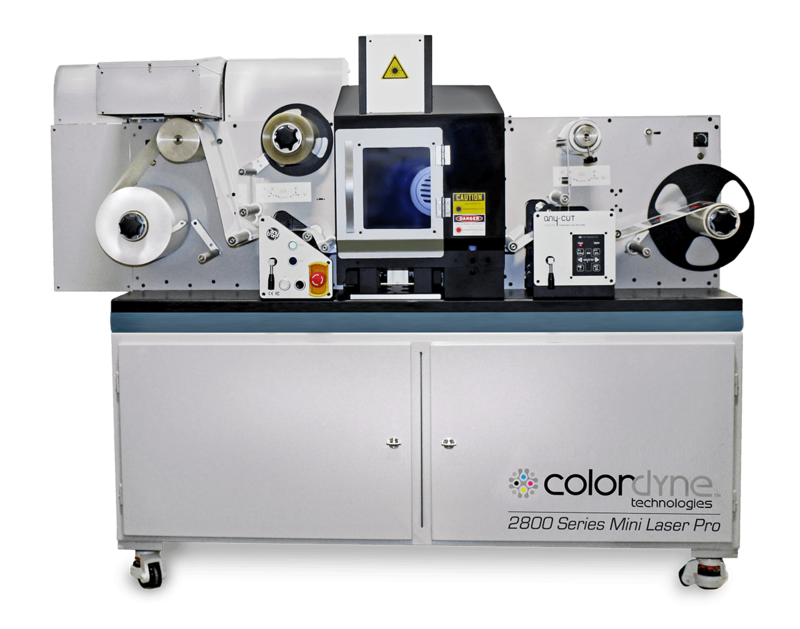 Installation of the DF350SR was made in late February to coincide with the installation on of the Domino N610i. 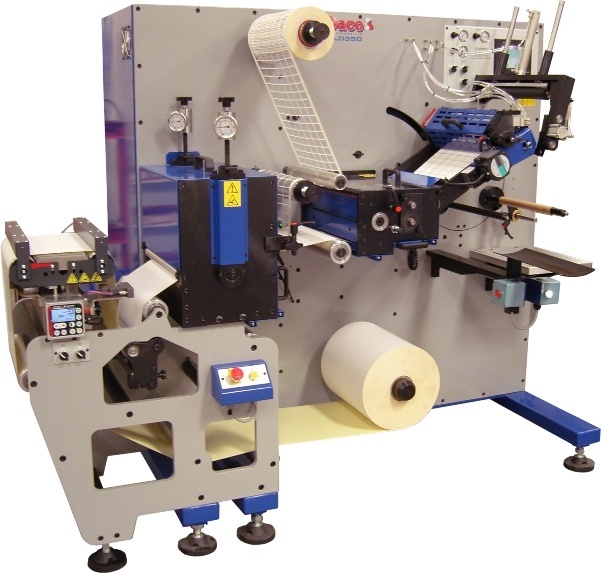 Mark Laurence comments ‘It’s great to have had the opportunity to quote for finishing equipment for Anglia Labels knowing that they already had semi-rotary die cutters from our competitors. 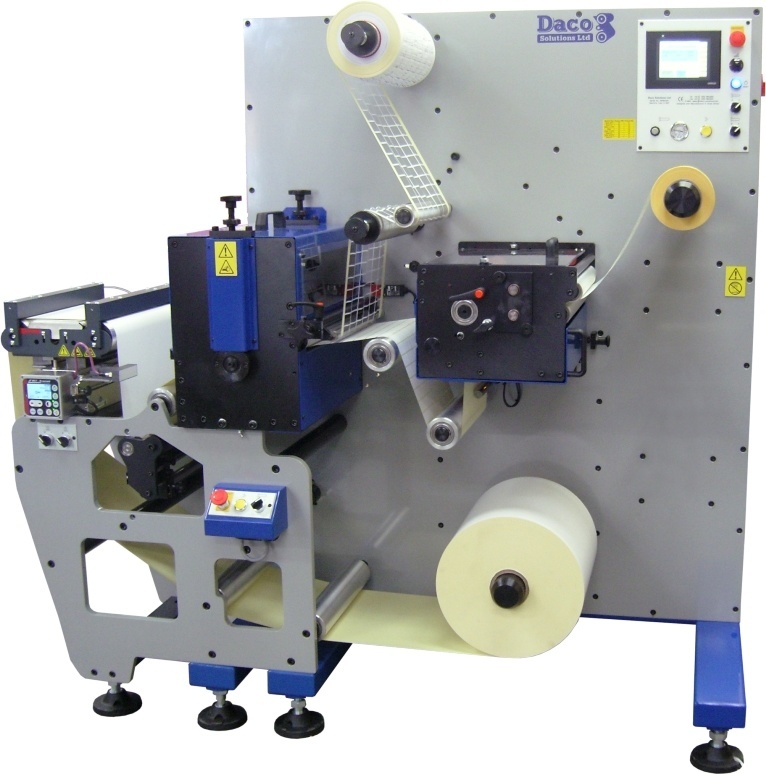 It is the second installation of a Daco DF350SR we have sold to compliment a Domino N610i series machine. 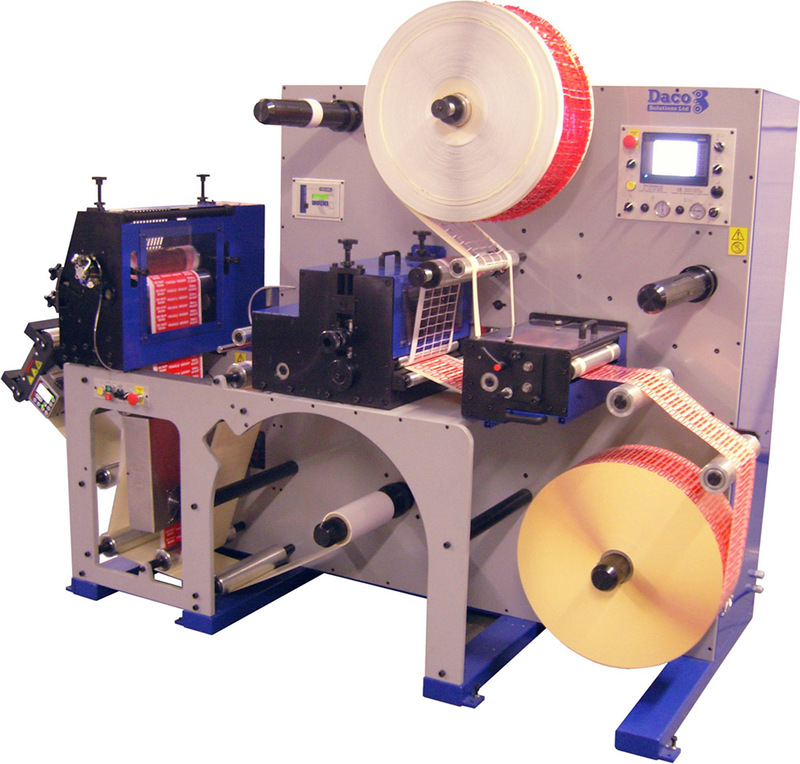 Within a few weeks of installation Anglia Labels ordered a second DF350SRD from us for installation in November.